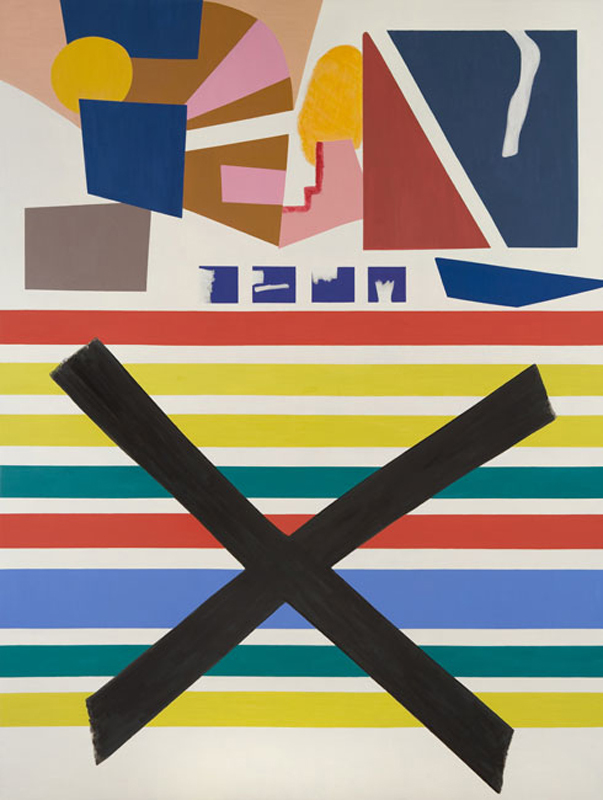 Shirley Jaffe, Horizontal Black, 2015, oil on canvas, 45 x 57.5 inches. The following text is Raphael Rubinstein‘s moving remembrance of Shirley Jaffe, which he read during the October memorial service for Jaffe at the Centre Pompidou in Paris. 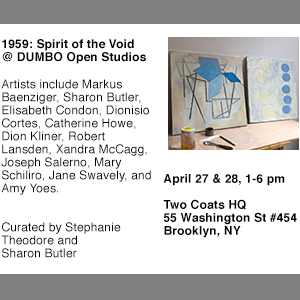 The images are courtesy of Tibor de Nagy, Jaffe’s NYC gallery. Thank you, Shirley, for being Shirley. Thank you, Shirley, for patiently listening to the uninformed, opinionated ideas of a lonely young student who wanted to talk about painting with you. Thank you, Shirley, for loaning me your copy of Miles Davis’s Blue Moods in the fall of 1978, and a portable record player to play it on. And thank you for letting me keep Blue Moods when I went back to the States—I still have it! Thank you, Shirley, for loaning me Art & Culture and The Tradition of the New—the first two books of art criticism I’d ever read. Thank you, Shirley, for agreeing to collaborate with me on Gervais Jassaud’s edition of my book Poste Restante and for going far beyond anyone’s expectations by turning each hand-painted copy into a veritable anthology of painting. Thank you, Shirley, for reminding us to resist nostalgia by declining to reminisce about your interesting past, thank you for nearly always refusing to talk about Paris in the 1950s. Thank you, Shirley, for finally agreeing to talk about Paris in the 1950s with me when I was writing a monograph on your work. Thank you, Shirley, for ignoring the boundaries between generations. Thank you, Shirley, on behalf of so many younger artists in Paris whose openings you attended, no matter how distant or modest the gallery, into your 90s. Thank you, Shirley, for opening your door to so many visiting American artists to whom someone had said “Call Shirley Jaffe when you are in Paris” so that 8 rue St. Victor became the unofficial American artists’ consulate in Paris. Thank you, Shirley, for constantly sending me articles about art and literature clipped out of Le Monde, which you read every day of your life, along with the International Herald Trib. Thank you, Shirley, for demonstrating what it meant to be loyal by always praising artists friends whose work you admired even when, or especially when, no one else was paying attention to their work. Thank you, Shirley, for introducing me to the work of Kimber Smith. Thank you, Shirley, for introducing me to Biala. Thank you, Shirley, for insisting I meet George Sugarman. Thank you, Shirley, for introducing me to Phil and Mary Hyman. Thank you, Shirley, for introducing me to Jean Fournier. Thank you, Shirley, for helping me to overcome my New York provincialism and recognize that Simon Hantaï was a very important artist at a time when almost no one in New York paid attention to him. Thank you, Shirley, for telling me not to take it personally when I answered your phone once and was cursed out by Joan Mitchell for no reason I could imagine. Thank you, Shirley, for teaching us that a painter’s task is to paint, for showing us that all aspects of life must be focused on making that possible. Thank you, Shirley, for showing us what a life free of complaint and envy looks like. Thank you, Shirley, for continuing to keep going, for almost 93 years. Thank you, Shirley, for reminding us how lucky we are if we can devote our lives to our art. Thank you, Shirley, for proving that being a true Parisian has nothing to do with how good your accent is kond vous parlay frowncay. Thank you, Shirley, for teaching us that shape is color and color shape. Thank you, Shirley, for translating your passionate interest in the world into paintings that become even more interesting than the world that inspired them. 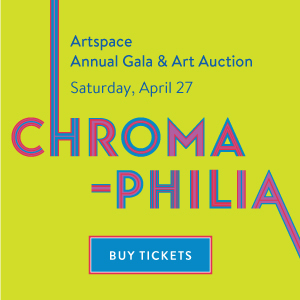 Thank you, Shirley, for demanding the maximum from every painting, for being willing to endlessly revise and adjust and eliminate every part of a canvas until the entirety gained the power to reorder the viewer’s brain, to joyfully reorder the viewer’s brain. Thank you, Shirley, for never giving up. Thank you, Shirley, for quietly communicating to us that the work really is more important than the life, that a single small painting might be worth more than a hundred biographical anecdotes. Thank you, Shirley, for demonstrating democracy in action. Thank you, Shirley, for believing in the existence of an ideal viewer, a viewer whose subtlety of understanding, whose attention to detail, whose capacity to enjoy audacious juxtapositions would be equal to your own. Thank you, Shirley, for making paintings that are here to console your family and friends for the enormous void that is your absence. 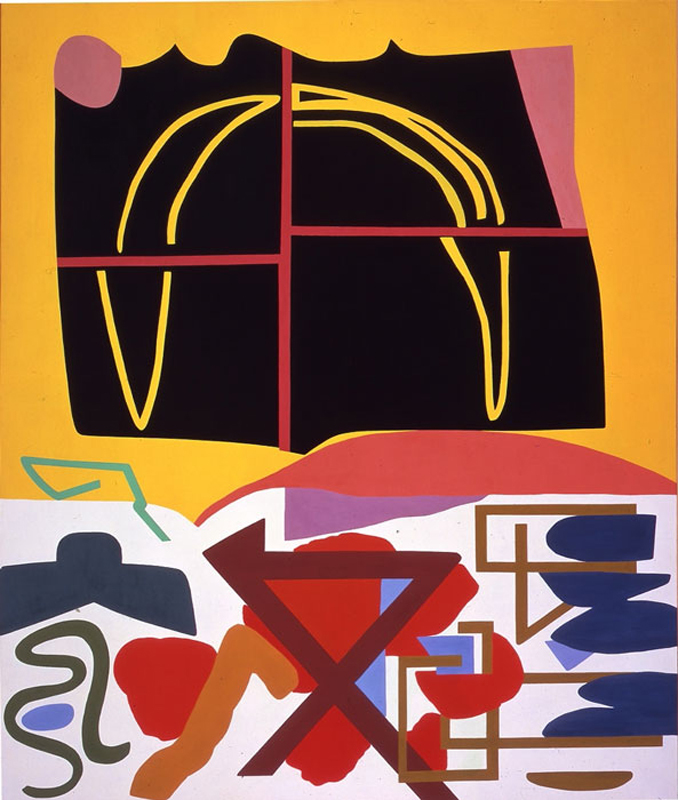 Shirley Jaffe, The Black Line, 1974, oil on canvas, 51.25 x 76.75 inches. 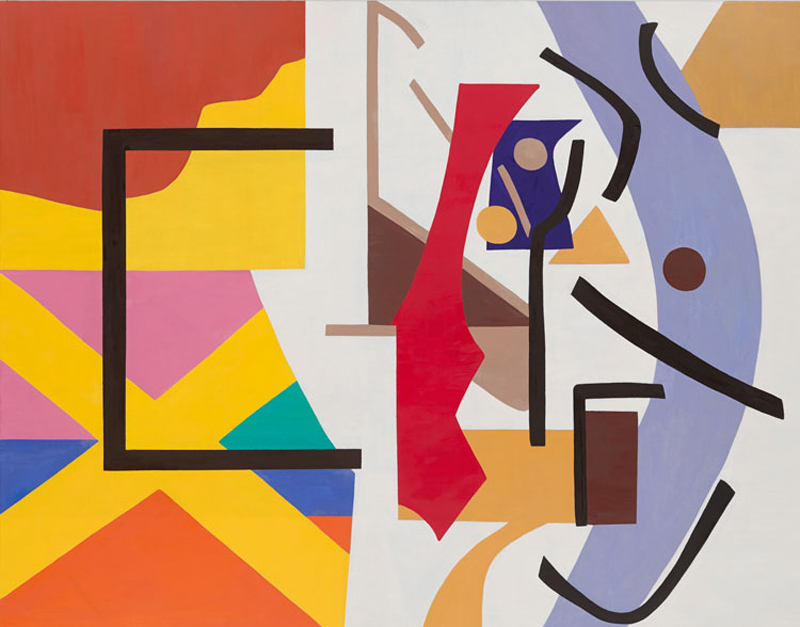 Shirley Jaffe, Hop and Skip, 1987, oil on canvas, 86.5 x 45.5 inches. 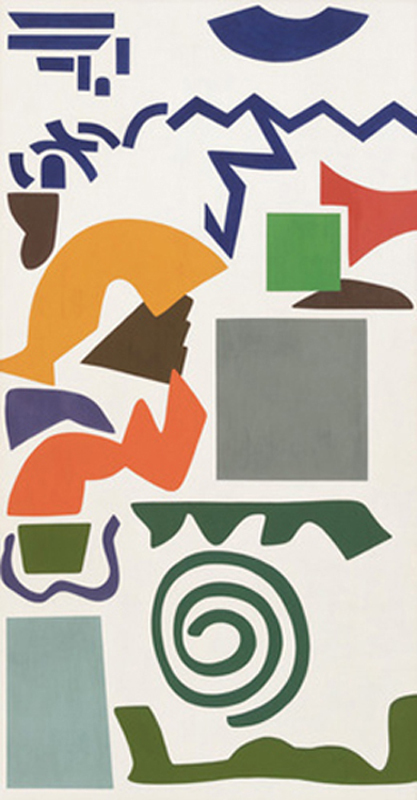 Shirley Jaffe, Four Squares Black, 1993, oil on canvas, 84.5 x70.75 inches. 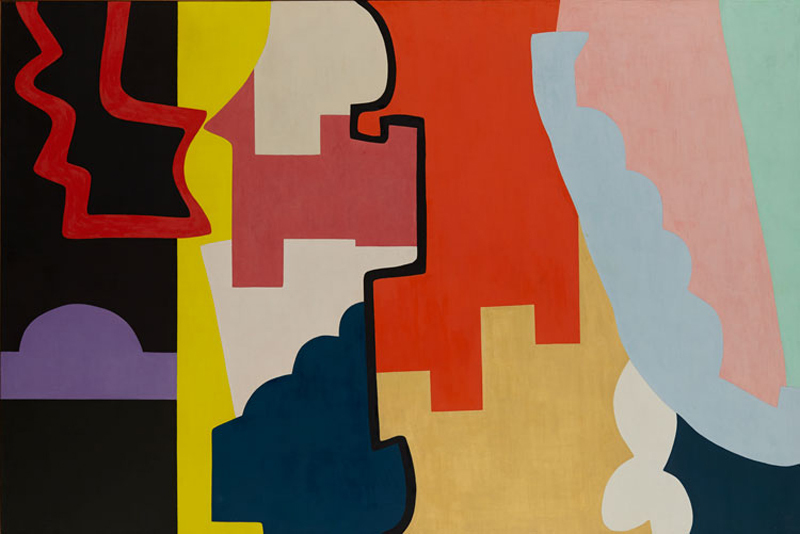 Shirley Jaffe, X Encore, 2007, oil on canvas, 82 x 63 inches. Great, great paintings of singular intelligence and kindness.